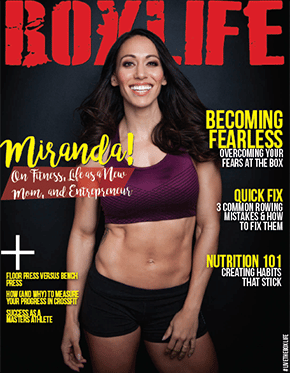 BoxLife provides CrossFit athletes a magazine that complements their commitment to a healthy life. The magazine forges a powerful connection with its readers because it educates, inspires and entertains. In featuring content directly contributed by this global community of athletes, BoxLife becomes the vehicle by which this voice is shared with the world. Whether the subject is technique, nutrition, gear or competition – over 30,000 CrossFit athletes turn to each issue of BoxLife to keep them up on the subjects they care about the most. Bold stories. Interesting Interviews. Insightful commentary. All delivered with energy, passion, and a point of view that defines its audience. BOXLIFE ADVERTISERS GET PRINT AND DIGITAL EXPOSURE. Our magazine runs in print and online where our readers will see your ad and can link directly to your site with click or tap.